Code repository GitHub has become the latest popular Web service to employ two-factor authentication to beef up security around its users’ accounts. The company announced the implementation today, effective immediately, joining Dropbox, Evernote, Twilio and others in employing the additional security layer. Users that opt for it will be sent a unique code via SMS every time they log into the service, ensuring that only they can access their account. “We strongly urge you to turn on 2FA for the safety of your account, not only on GitHub, but on other websites that support it,” the company says in its help pages. The GitHub blog has full details of how to set the authentication up, but, essentially, users can do it via SMS or a dedicated authentication mobile app — such as Google Authenticator (for Android/iPhone/BlackBerry), Duo Mobile (for Android/iPhone) or Authenticator (for Windows Phone 7). The apps are important because GitHub admits that it isn’t able to send SMSes to users in every country worldwide, whereas the apps are available to all. 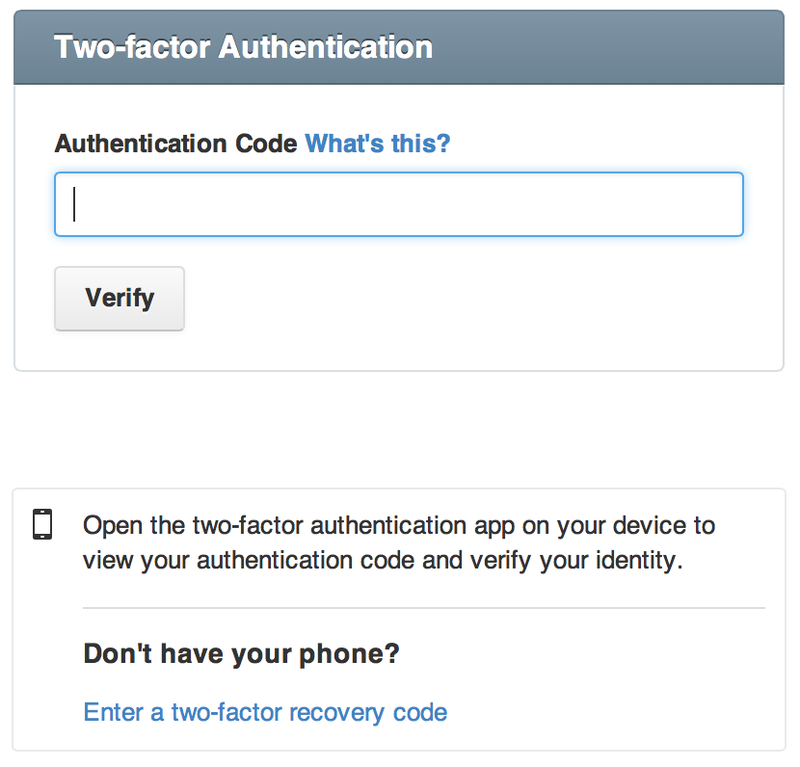 Like other solutions, GitHub’s two-factor authentication includes a ‘fallback’ SMS numbers and other systems for getting back into your account if you lose your phone. GitHub hit 3.5 million users and 6 million repositories stored on its fifth anniversary in April. At the time of writing, the service is up to 4.1 million users and 8.1 million repositories.